Evonik has launched VISIOMER GLYFOMA (glycerol formal methacrylate), a low-odor reactive diluent. Due to its low vapor pressure, it can be used anywhere low-VOC properties are required. This makes VISIOMER GLYFOMA a label-free alternative to styrene and methyl methacrylate (MMA). In adhesive formulations, composite resins, and gel coats, this reactive diluent can replace styrene and MMA, either partially or in full. 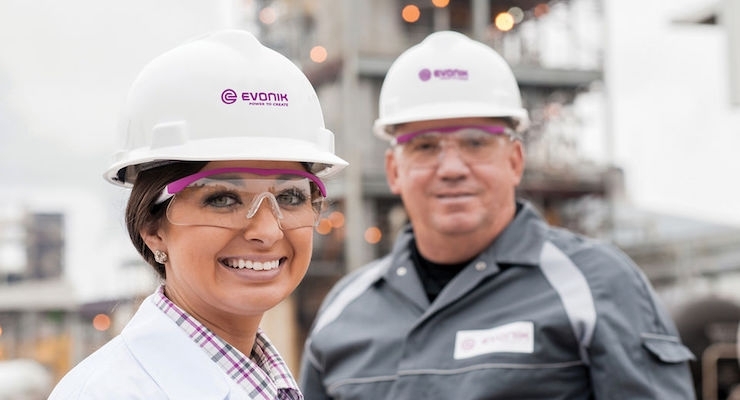 “The launch will offer our customers a versatile reactive diluent hallmarked by a large number of additional advantages,” said Dr. Martin Trocha, who heads the Application Monomers Product Line at Evonik. The methacrylate monomer is also characterized by its low flammability and excellent thermal stability. It remains stable under alkaline conditions, and it is based on 38% of glycerol from renewable raw materials. VISIOMER GLYFOMA is registered under REACH. Prior to REACH registration, independent test laboratories had already determined that the monomer does not cause skin or eye irritation, nor does it trigger allergic skin reactions.